Think you know how the game of baseball began? Think again. Forget Abner Doubleday and Cooperstown. Forget Alexander Joy Cartwright and the New York Knickerbockers. Instead, meet Daniel Lucius Adams, William Rufus Wheaton, and Louis Fenn Wadsworth, each of whom has a stronger claim to baseball paternity than Doubleday or Cartwright. But did baseball even have a father—or did it just evolve from other bat-and-ball games? 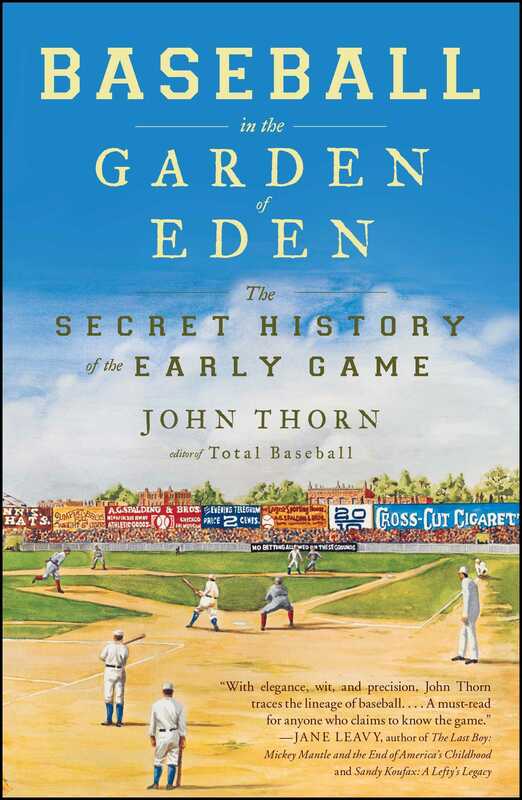 John Thorn, baseball’s preeminent historian, examines the creation story of the game and finds it all to be a gigantic lie, not only the Doubleday legend, so long recognized with a wink and a nudge. From its earliest days baseball was a vehicle for gambling (much like cricket, a far more popular game in early America), a proxy form of class warfare, infused with racism as was the larger society, invigorated if ultimately corrupted by gamblers, hustlers, and shady entrepreneurs. Thorn traces the rise of the New York version of the game over other variations popular in Massachusetts and Philadelphia. He shows how the sport’s increasing popularity in the early decades of the nineteenth century mirrored the migration of young men from farms and small towns to cities, especially New York. And he charts the rise of secret professionalism and the origin of the notorious “reserve clause,” essential innovations for gamblers and capitalists. No matter how much you know about the history of baseball, you will find something new in every chapter. Thorn also introduces us to a host of early baseball stars who helped to drive the tremendous popularity and growth of the game in the post–Civil War era: Jim Creighton, perhaps the first true professional player; Candy Cummings, the pitcher who claimed to have invented the curveball; Albert Spalding, the ballplayer who would grow rich from the game and shape its creation myth; Hall of Fame brothers George and Harry Wright; Cap Anson, the first man to record three thousand hits and a virulent racist; and many others. Add bluff, bluster, and bravado, and toss in an illicit romance, an unknown son, a lost ball club, an epidemic scare, and you have a baseball detective story like none ever written. Thorn shows how a small religious cult became instrumental in the commission that was established to determine the origins of the game and why the selection of Abner Doubleday as baseball’s father was as strangely logical as it was patently absurd. Entertaining from the first page to the last, Baseball in the Garden of Eden is a tale of good and evil, and the snake proves the most interesting character. It is full of heroes, scoundrels, and dupes; it contains more scandal by far than the 1919 Black Sox World Series fix. More than a history of the game, Baseball in the Garden of Eden tells the story of nineteenth-century America, a land of opportunity and limitation, of glory and greed—all present in the wondrous alloy that is our nation and its pastime. Photograph by Dion Ogust, Woodstock, N.Y.
John Thorn was named the Official Baseball Historian for Major League Baseball by Commissioner Allan H. (Bud) Selig in 2011. Thorn founded and edits Base Ball: A Journal of the Early Game, a semiannual scholarly publication. He was the coauthor of Total Baseball, a well-known baseball book, and many other baseball books, notably The Hidden Game of Baseball. He often appears on ESPN, the History Channel, and the MLB Network. 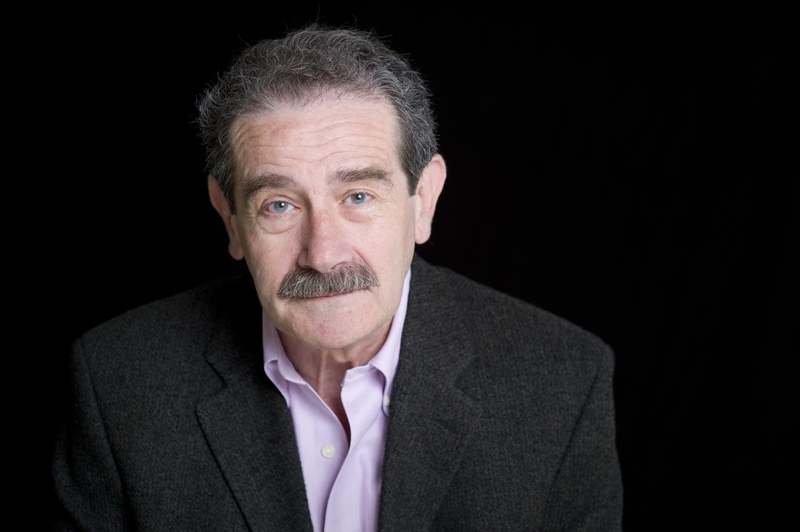 He was the chief consultant and on-screen historian for Ken Burns's series "Baseball." He serves as publishing consultant to the Pro Football Hall of Fame and the Museum of the City of New York.